Fast and affordable for daily use. Available as a hatch or estate. Diesel engine is the same price as petrol. More refined than previous models. Handling can be unpredictable in the wet. Diesel is economical, but lacks top end gunt. Boot space is small compared to rivals. It might not be the quickest or cheapest fast Ford money can buy, but the Focus ST has lots of universal appeal thanks to its ability to mix hot hatch performance with everyday usability. 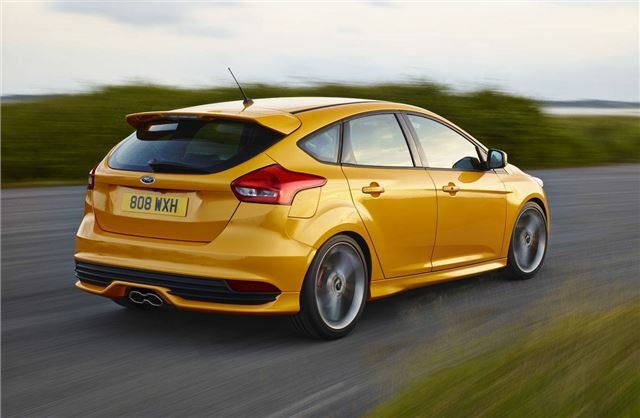 Indeed, when it comes matching fun and value, the Focus ST is in a class of its own. The Ford Focus ST can be specified as a hatchback or estate and there are two 2.0-litre engines to choose from - one petrol and one diesel. As you might expect, it's the 250PS four-cylinder petrol that provides the most fun, with 0-62mph taking 6.5 seconds and 360Nm of torque flowing all the way to 5000rpm. Claimed fuel economy is decent too, with 41.5mpg and 159g/km of CO2. Admittedly, this is less than the Golf GTI, but it's worth noting that the Ford packs 30PS more power than the Volkswagen. The ST can also be ordered with a performance-focused 185PS diesel, which matches its Volkswagen Golf GTD rival on economy with 110g/km of CO2 and a claimed 67.3mpg. However, while the economy ratings impress on paper, the Focus ST diesel fails to excite on the road, with lacklustre performance and disappointing power delivery. Indeed, unless you're a company car driver who really wants your diesel to look like a hot hatch, we'd recommend opting for the petrol. While the front-wheel drive set-up can provide some challenges in the wet, the Focus ST largely impresses with firm but rewarding handling. The steering is well-weighted and the chassis feels light and nimble, with a keen turn in and lots of feedback. The only area of criticism we would level at the Ford is its lack of upmarket feel in the cabin. Compared to the Golf GTI, the Focus ST feels somewhat low-thrills, with lots of cheap and flimsy plastics. Bootspace is also disappointing and hatchback versions offer a meagre 316 litres. That said, the Focus ST is perfectly comfortable for families and the Recaro front seats provide good levels of back and upper leg support for long distance drives. Estate versions eliminate the lack of storage issue, offering 476 litres. 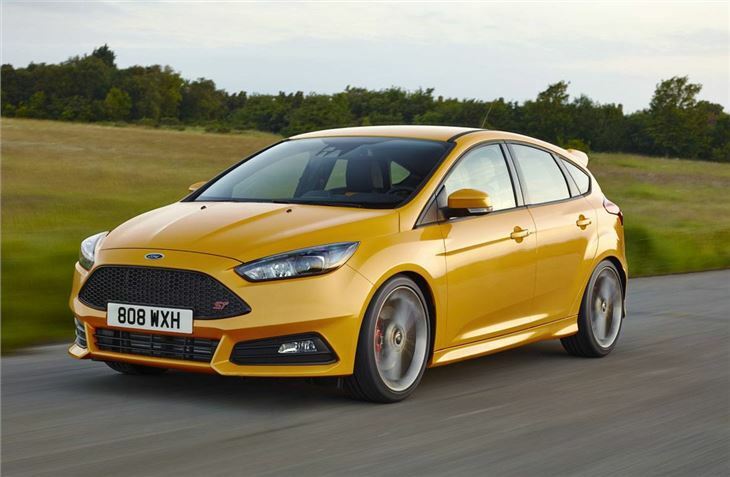 However, one area where the Focus ST cannot be faulted is on value. In fact, the criticisms seem minor when you consider the huge gulf in price between the Ford and Volkswagen. What's more, in estate form, the Focus ST is almost unrivalled on price and performance aside from the Skoda Octavia vRS.